Jamal Rahman is a popular speaker on Islam, Sufi spirituality, and interfaith relations. Along with his Interfaith Amigos, he has been featured in the New York Times, CBS News, BBC, and various NPR programs. Jamal is co-founder and Muslim Sufi minister at Interfaith Community Sanctuary and adjunct faculty at Seattle University. He is a former co-host of Interfaith Talk Radio and travels nationally and internationally, presenting at retreats and workshops. He is the author of Sacred Laughter of the Sufis: Awakening the Soul with the Mullah's Comic Teaching Stories and Other Islamic Wisdom; Spiritual Gems of Islam: Insights & Practices from the Qur'an, Hadith, Rumi & Muslim Teaching Stories to Enlighten the Heart & Mind; The Fragrance of Faith: The Enlightened Heart of Islam; and coauthor of Finding Peace Through Spiritual Practice: The Interfaith Amigos Guide to Personal, Social, and Environmental Healing; Religion Gone Astray: What We Found at the Heart of Interfaith; Out of Darkness into Light: Spiritual Guidance in the Quran with Reflections from Jewish and Christian Sources; and Getting to the Heart of Interfaith: The Eye-Opening, Hope-Filled Friendship of a Pastor, a Rabbi, and an Imam. Jamal's passion lies in interfaith community building. He remains rooted in his Islamic tradition and cultivates a "spaciousness" by being open to the beauty and wisdom of other faiths. By authentically and appreciatively understanding other paths, Jamal feels that he becomes a better Muslim. This spaciousness is not about conversion but about completion. 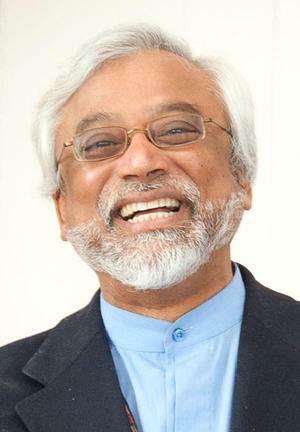 Imam Jamal, originally from Bangladesh, has an abiding faith in the power of heart-to-heart connections to encompass differences and dissolve prejudices. He enjoys programs that celebrate life and unity through delight, laughter, and food. He has a private spiritual counseling practice serving individuals and couples, and is available for interfaith weddings and ceremonies. 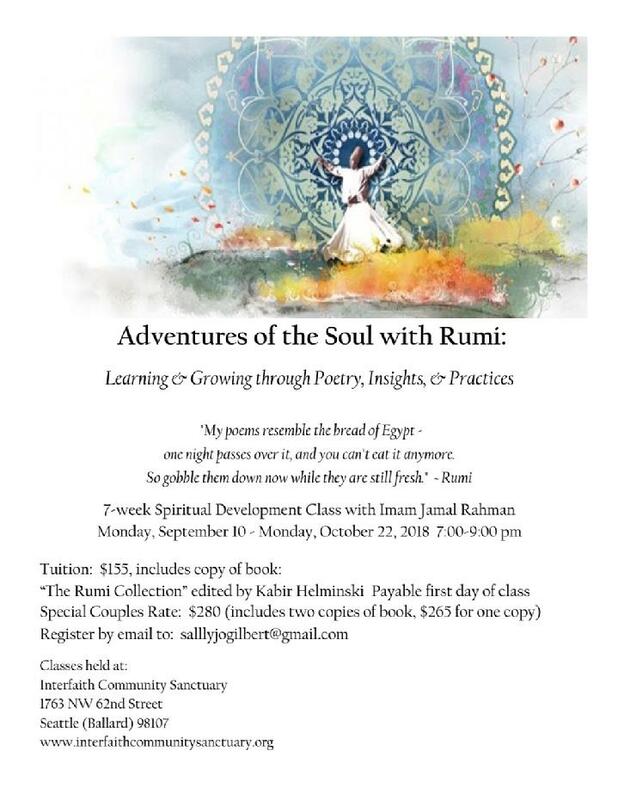 Jamal offers a variety of classes and workshops, including the popular "Blush of the Beloved," a course in spiritual deepening and discernment drawing upon the practices, insights, and wisdom within Sufism, Hinduism, Buddhism, and Taoism. Read more on class information page. that you might get to know one another. and we make no distinction between them.